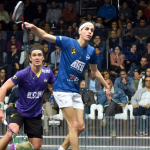 If you’re serious about taking your squash to the next level, at some point you’re going to have to incorporate some form of structured physical training into your programme. We’ve got some great fitness content on the site, with a wide variety of exercises, sessions, and programmes covering the entire spectrum of fitness needs and goals. 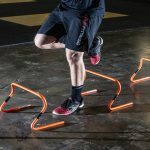 We’re often asked the question though, what exactly are the most important areas of squash-specific conditioning training for the player looking to take that next step? 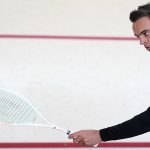 It’s difficult to condense such a wide ranging topic down into one simple answer, but to help get you on your way here are our SquashSkills 3 top tips for squash fitness training. ‘Fitness’ comprises of many different things. 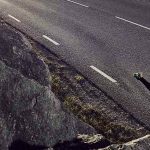 A lot of players still think of fitness mainly just in terms of ‘endurance’, or how long they can keep running for before fatigue slows them to a halt. 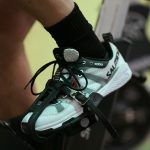 Endurance is of course a very important attribute for the squash player, but there are many other elements that go toward making up the all-around athleticism so vital for the sport – speed, power, strength, agility, stability, and mobility are all attributes that need to be considered alongside just plain endurance. If you’re going to undertake some fitness sessions to improve your squash, think about what your individual physical strengths and weaknesses are, and incorporate drills into your training to address those weaker areas accordingly. 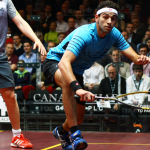 You can check our SquashSkills general fitness test here, to get some insight into where you stand in respect to the 3 primary areas of squash-specific conditioning. With the above recommendation to vary your fitness training in mind, it’s important to remember that strength is the foundation of all other athletic qualities. 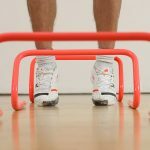 Resistance to injury, explosive power and acceleration around the court, stability in your lunge and on your shot – all these elements have their base in strength, yet many players who are keen to develop their conditioning in these areas neglect to incorporate proper strength training into their programmes. Strength training is characterised by heavy resistances (80%+ of 1 repetition max), low reps (usually 3 to 6), and longer rest periods (+2 minutes). 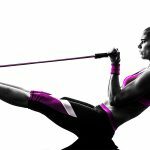 While some exercises can be adapted to use bodyweight or other weighted tools such as medicine balls, you ideally need to be getting into the gym to really adequately address strength training needs. We have some great strength training workouts and programmes on the site, including some machine based sessions for those not confident enough to move straight into working with free weights. All else considered equal, the stronger athlete will be the better athlete. 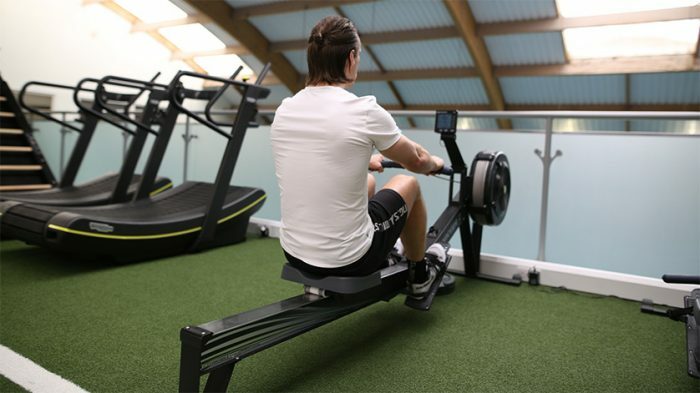 If you’re varying your workouts, getting stronger, and generally training hard, then you need to make sure that you’re also allowing for adequate recovery – train hard, rest harder! Any increase in training load and intensity, should always be matched with a corresponding increase in recovery time. 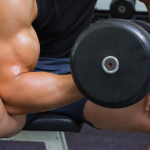 This will help both optimise your gains, and protect against injury. Recovery can include modalities such as massage, foam rolling, cryotherapy, and light cardio (active recovery). The two staples of optimal recovery from training however, always remain good sleep and high quality nutrition. It’s important to remember that growth and improvements don’t occur while you’re in the gym or on the court, they occur while you’re resting and recovering. If you’re serious about improving your squash-specific conditioning, you need to be serious about your recovery! Warming-up is a crucial part of your training to help optimise performance, and prevent injuries. Check out our excellent FREE warm-up guide to help make sure you’re primed and ready for your session! Download your FREE warm-up guide! 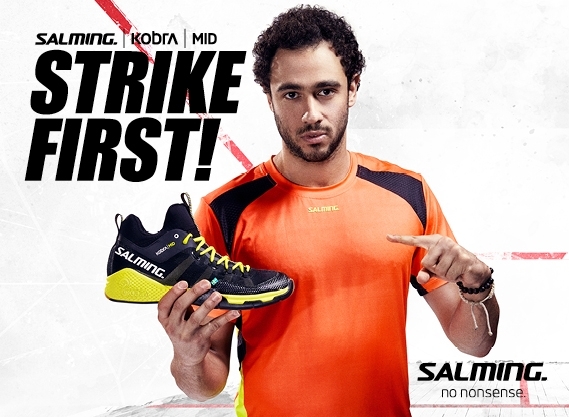 Test your squash specific strength!